Having built many US Navy jets in various scales for over 36 years, I can resoundingly state that the thing I hate most about painting them is masking and painting tailhook stripes. Although some manufacturers have included the striping decals with the kits, the vast majority have not. Thankfully, AOA decals has introduced a new series of decal sheets in 1/72, 1/48, and 1/32 scales to provide those stripes when the kit manufacturers haven't. Received for this review was the Combo sheet, which includes all three scales. Individual sheets for 1/72, 1/48, and 1/32 are also available. Decals are simple sets of black stripes of appropriate width and spacing, and are printed by Microscale. Application is straightforward, especially when using the Microscale setting system. The decals are thin, but resist tearing enough to handle, and yielding enough to settle around surface detail. I applied a 1/48 sample to an old "Revellogram" F/A-18A/C tailhook from a model I built over 3 decades ago. The sample settled beautifully and without incident. Sliced bread, pre-cut canopy masks, and pre-printed tailhook stripes are among man's top contributions to civilization as we know it. 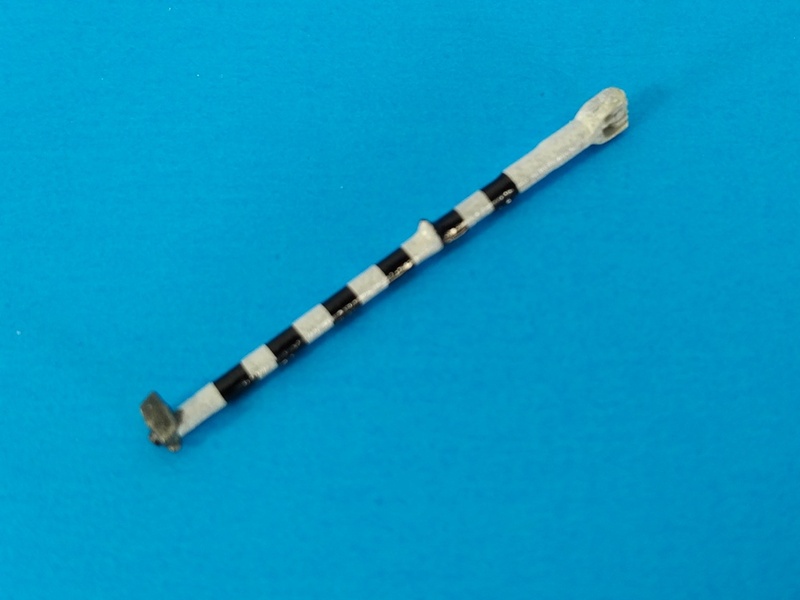 I highly recommend this set of striping from AOA to any modeler of US Navy jets bearing striped tailhooks. Many thanks to AOA Decals for the review sample and to IPMS/USA for the opportunity to share this review. Time to rework a lot of old lackluster tailhooks!